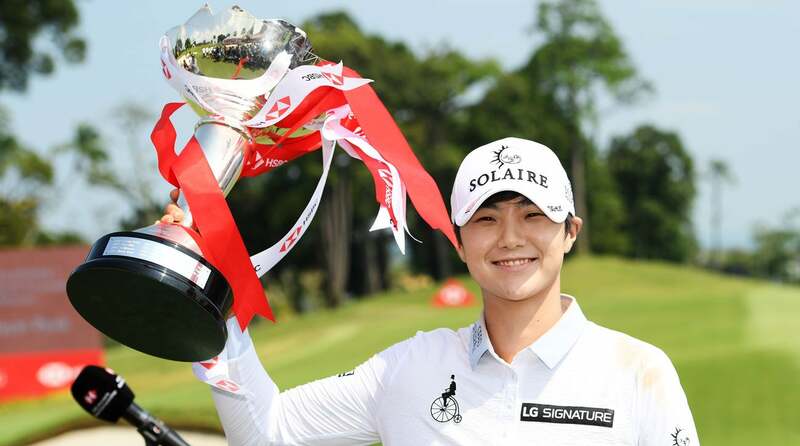 Sung Hyun Park just claimed her sixth LPGA victory since 2017 at the HSBC Women’s World Championship in Singapore. The 25 year old came from four shots behind to claim the title, and shot a final round of 64 — eight under par — to end up two shots clear of runner-up Minjee Lee. Currently ranked second in the world, Park cited a familiar figure as inspiration for her stirring comeback victory: Tiger Woods. Sung Hyun Park claimed her sixth LPGA victory since 2017 in Singapore this weekend. Woods has been a TaylorMade staff player since 2017, a switch he made after Nike exited the golf equipment business. Park posted a photo of the two together at TaylorMade’s February shoot on Instagram. Park had brief stints as the No. 1 player in the world in 2017 and 2018, and is focused on reclaiming the top spot this year. “It is my goal to be ranked world No. 1 again this year,” she said.